Jetting off to your private villa promises a family getaway like no other! Picture private pools, freedom to get out there and discover and plenty of personal space for those precious family moments. Booking a family holiday package with James is hassle free, with all the little things taken care of under one roof. And as an ABTA and ATOL bonded company, your Big Holiday gets an extra level of protection. Priceless peace of mind with your holiday budget well and truly protected. Here’s all the amazing benefits of a package villa holiday, with plenty your little ones will love too. The beauty of a villa holiday package is that you can book everything under one roof! We’re here to take care of those little things that make your Big Holiday, after all. Whether that means an airport hotel for a good night’s sleep and stress free start, or an airport lounge to kick off your getaway in style. How about a welcome pack waiting for you when you arrive? Forget about a trip to the shops, your pool should be your first port of call! A splash before you even unpack – we’re sure that’ll go down well with the little ones. From travel insurance to currency and attraction tickets, it’s so much easier when you can all those little extras in one place. Take your pick from 50 destinations, as you find the right setting for your family holiday. Long haul adventures might take you to the theme parks of Orlando or the tropical paradise of the Caribbean. 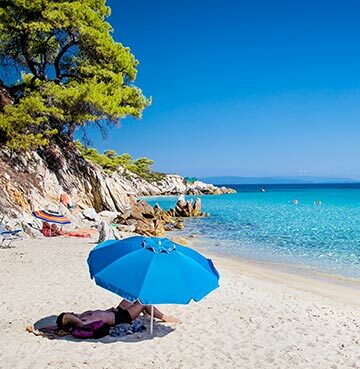 For a short haul taste of the exotic, why not visit the Canary, Balearic or Greek Islands? That’s just scratching the surface of our wonderful island escapes, perhaps Malta will cast its spell over you? Or the Italian delights of Sardinia and Sicily will prove too tough to resist. Of course, you don’t have to leave the mainland for amazing beaches – just ask the Algarve and Turkey! Grab a slice of culture in Italy, Croatia and Cyprus, with their fascinating cities and enchanting past. Your little ones could be about to embark on the most mesmerising history lesson of their lives! It’s not all about that summer sun either, you could be jetting off for that warm glow all year long – it’s all about finding your perfect destination. A private pool, space for all and locations your kids will think are pretty cool! There’s nowhere better for family time than your very own villa. Other holiday types just don’t give you the same level of freedom, which makes for amazing cherished memories with loved ones. It’s not just a case of having privacy and space for quality time, you’ll also have a pool that you rule and sunloungers that are always reserved for you! There’s no limit to how much the kids can splash and you’ve got a front row seat if you don’t fancy joining in – what could be better? Piecing together your perfect family package holiday means finding a villa that you just love! Whether that’s a stone’s throw from the beach, tucked away or in the heart of the action, we’ve got locations for every taste. 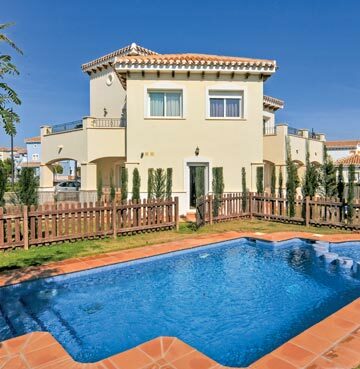 It might mean a villa with games facilities to keep the little ones amused or a hot tub for when they’ve nodded off. There truly is a villa holiday for every family. On your villa holiday a hire car means so much more than just getting from a to b, it could be taking you to c, d, e and as far down the alphabet as you like. If you’re an adventurous bunch you might even run out of letters! Take the little ones to the waterpark you just know they’ll love, show them a city sight you’re sure will leave them wide eyed in amazement. 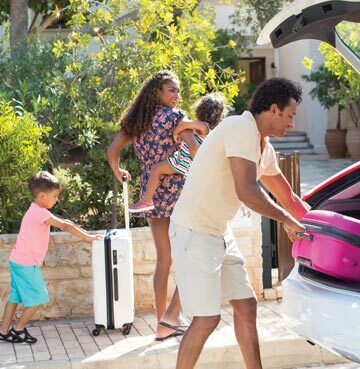 You’re in control with car hire, so you can stay as late as you want or head home when the family’s had enough. And with nobody to disturb or hotel rules to live by, you can come and go at whichever hour you like. Family villa holidays are tailor-made for explorers and inquisitive minds! 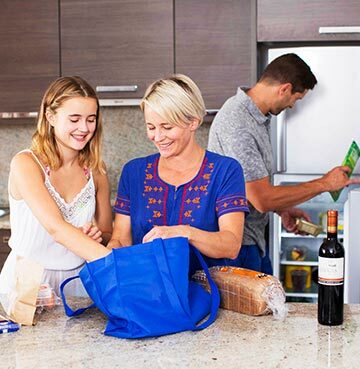 If your duties extend from family holiday planner to household chauffeur, you might need a break from being mum or dad’s taxi. Airport transfers are ideal, especially if you choose a car optional villa. With amenities in walking distance of your villa, those drives are swapped for leisurely strolls. Slip into a lower gear and just enjoy the relaxed atmosphere of your family getaway. Car advised and car optional villas are perfect for those planning to hire a car and get out on the open road. With a choice of flight times you can pick flexible arrivals and departures that tick all your family’s boxes. If you just know they’ll be up and full of beans at the crack of dawn, grab that early flight! If you all love to sleep in, start your holiday with a lazy afternoon flight – you’re in no rush after all. The kids have beaten dad at table tennis, they’ve tired themselves out on the climbing frame and you haven’t even had to leave your villa! Find the right home from home and the little ones will have plenty to keep them occupied. You might actually get those five minutes undisturbed! Unless you choose to join in. 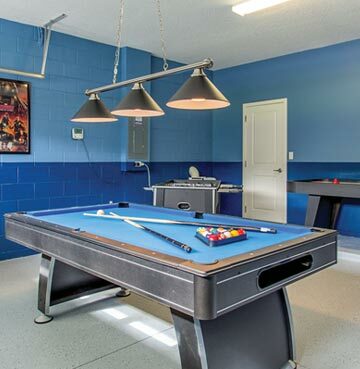 From pool tables to darts, and full tennis courts to badminton, there’s plenty of choice in our villas with games facilities! And if getting them to go to bed is a tiring task in itself, why not choose a villa with a themed bedroom? Princess and castle, sailor style decoration for young seafarers and even rooms with full sized slides – you’ll have no trouble getting them off to bed! Older kids might enjoy games rooms with the consoles you just can’t drag them away from back home. Keep the splashing and swimming safe with one of our child friendly pools! Gated pools give you that priceless peace of mind, letting you keep the pool off limits when you’re not around. Let the little ones play when you’re able to give them your full attention, that way there’s big smiles all round. Shallow pools are perfect for younger kids and those who haven’t quite find their water wings yet. But who knows, with the perfect pool to paddle in their confidence might grow over the holiday! By the end they might be fearlessly leaping into deeper water. All the privacy and freedom of a villa holiday with amazing facilities at your door – Holiday Resorts are ideal for families. You won’t have to worry about keeping the little ones amused on your holiday here. Budding sports stars can hone their skills at soccer schools, tennis courts and more. Young cyclists can explore amazing trails on two wheels, a perfect activity for parents to get involved too! Play areas and kids clubs are there if the youngest members of the family are the social butterflies – they’ll be making friends in no time. And with spas and bars on offer, it’s not just a playground for young holidaymakers.